Writer Mark Perez (original writer of Game Night) has said that Frank McKlusky, C.I. 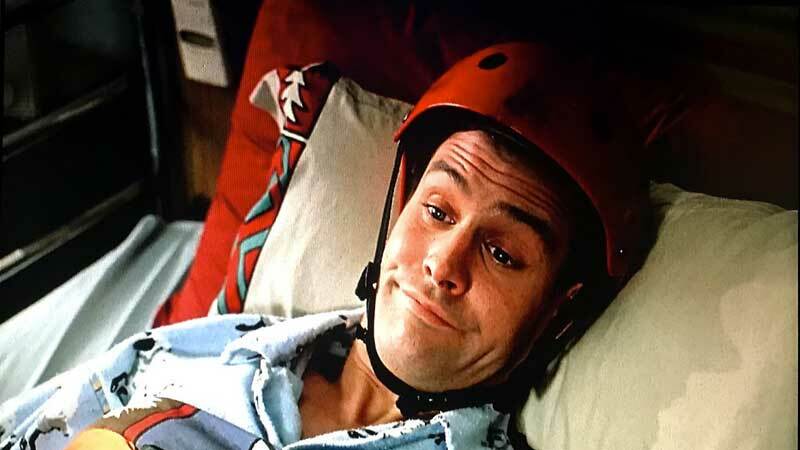 was an attempt to turn star Dave Sheridan (Bubble Boy) into a new Jim Carrey. Pitched as a last-ditch effort at the end of Perez' development deal with Disney, the film is pretty obviously set up to showcase Sheridan's physicality and his overtly-expressive face, playing like a mash-up of In Living Color sketches, with one bit--where Sheridan dresses like a very masculine gymnast--coming so close to one of Carrey's characters that royalties may have been required. Unfortunately, the movie never comes close to earning the laughs the original did so well. Sheridan plays the titular McKlusky, a claims investigator for an insurance company. His career path was set in stone when his daredevil father Madman McKlusky (Randy Quaid) suffered a career-ending injury that put him in a vegetative state. 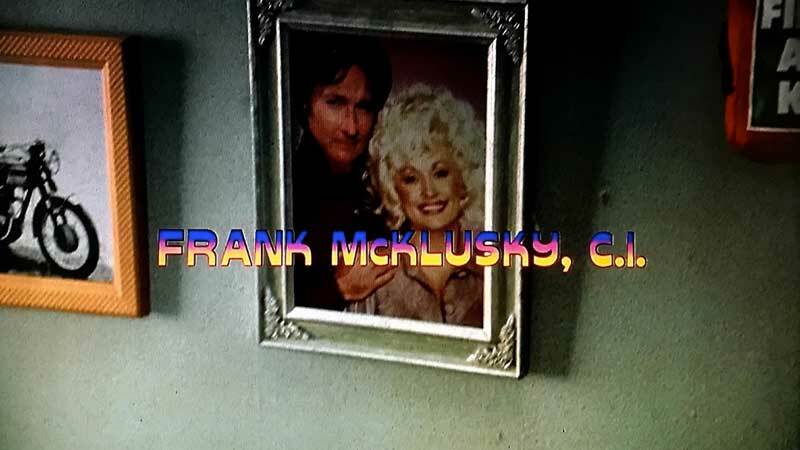 At that point, Frank's mother (the always delightful Dolly Parton) ensured that safety would be his number one focus, which leads him to a life spent in a helmet and body padding (while his brother lives as an agoraphobic in a full astronaut suit.) By the book, unceasingly optimistic, and driven by a vengeful streak toward the accident lawyers who did his dad dirty (played, surprisingly, by Kevin Pollack and Tracy Morgan), Frank is the ultimate claims investigator. However, he finds himself in over his head when a case involving a rude man in a wheelchair (Enrico Colantoni, Galaxy Quest) spirals out of control. Soon he's in over his head, with a new, equally-enthusiastic partner (Cameron Richardson) and a case that puts him in great danger as he gets closer to the truth--which somehow involves Scott Baio. Perhaps it's because the homage is so obvious and thus the surprise is missing, but McKlusky is unappealing as a character and the story isn't all that interesting (you get ahead of the mystery well before the movie figures it out. 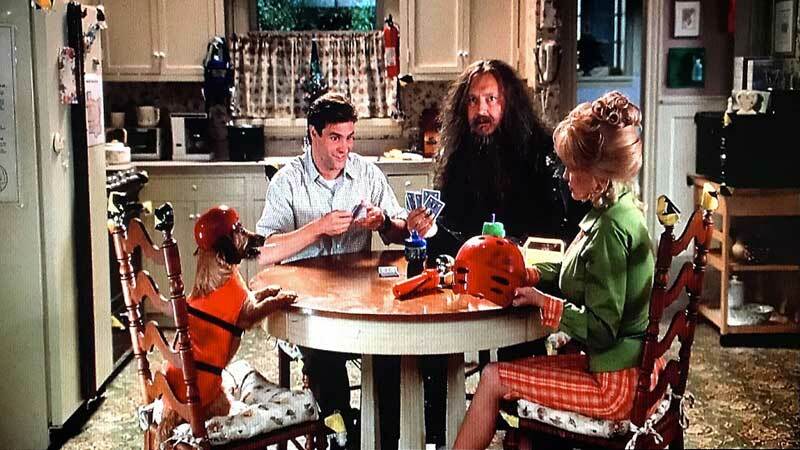 Among the laundry list of recognizable names in the cast--from Adam Carolla to R. Lee Ermey to Emmanuel Lewis--there are some very enjoyable people in the movie, including Parton, Colatonim Richardson and Andy Richter, but they can't overcome the film. The only thing that sort of works is the use of WWE wrestler Chyna, who is played against type as Frank's sexually aggressive coworker, wearing a series of revealing pop culture-referencing outfits. And that's mainly because it's just unusual and out-there casting. Also working against the film's attempts to garner some laughs is the nature of many of the jokes. Off-color jokes can be very funny, but not if they are lazy or overdone, and in those categories, this film bought in bulk. Whether it's gay jokes, fat jokes, Asian jokes or poop jokes, Frank McKlusky, C.I. struggles to understand the idea of moderation. When your main character spends an extended scene in blackface and the joke isn't about the social implications of blackface AND the film was released in the 21st Century, something has gone terribly wrong. And there wasn't much right to begun with. Kino Lorber is releasing Frank McKlusky, C.I. on one Blu-ray disc, which is packed in a standard keepcase. The cover and static menu features the film's simple poster art, while menu options include watching the film, selecting scenes and checking out the extras. There are no audio options, nor are there subtitles. Unsurprisingly, this lesser-known, lightly-regarded film didn't get a remaster on its way to Blu-ray, though that hasn't resulted in a particularly bad presentation. The 1.85:1, AVC-encoded 1080p is pretty clean, with solid color and a decent level of fine detail, qualities which are aided by the film's outlandish design, giving the transfer plenty to show off. Grain is relatively consistent, with a few obvious exceptions, and skintones are appropriate. The clarity of Blu-ray does not in any way help the film's low-budget visual effects, as the green-screen work looks terrible. Presented with a 2.0 DTS-HD MA track, the audio is a pretty standard affair, keeping the dialogue clean and easily understood, while giving the music and sound effects enough weight to make their presence properly felt. There's not a lot going on in terms of atmospheric effects, but scenes don't feel empty either. Disappointingly, the only thing we get is an old promo. Looking at this film and this cast, you know there were some stories to be told from the making of this thing. Trailers are available for Frank McKlusky, C.I., The Wrong Guy, The Associate, Maria!, Delirious and I'm Gonna Git You Sucka. THinking back to when this film was first released on VHS, it looked promising. Many years later, the promise remains unfulfilled, and the passage of time has not been kind to Dave Sheridan's big break, as an unfunny collection of gags becomes increasingly groan-inducing. Kino's presentation is fine, though there are no extras to check out, meaning the audience for this one is very slim, and most can find something better to do with their time.